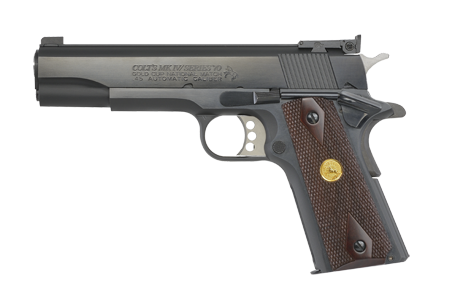 In the case of the pistol currently under review, the Colt Government 1911 Series 70, I'm pleased to say that it is in fact not built like it used to be. As a natural born skeptic, I'm guilty of uttering the cliche "They don't build them like they used to." Many times this is an accurate sentiment as our society continues to stumble down the path of cheap and disposable consumer goods. In the case of the pistol currently under review, the Colt Government 1911 Series 70, I'm pleased to say that it is in fact "Not built like it used to be." 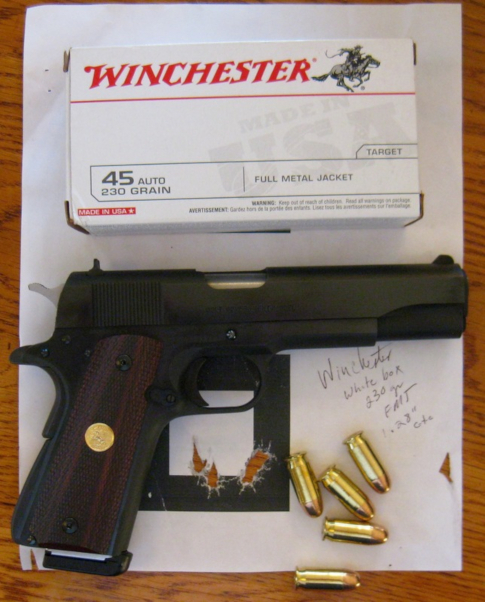 Rather, this review sample is the best Series 70 Colt Government I've ever been in charge of! 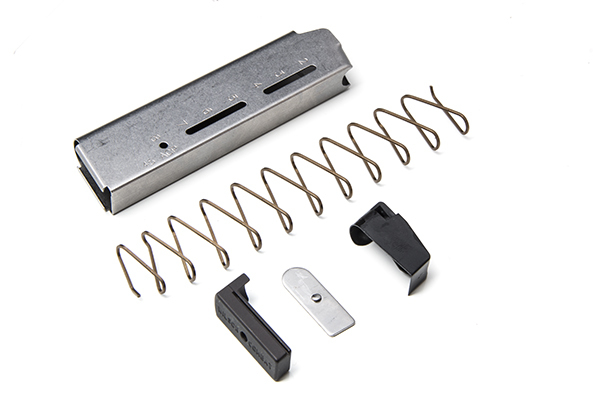 In the interest of covering the basics, this Government is a true spec Series 70: short steel trigger, no firing pin block (like the Series 80s), arched steel mainspring housing, non-flared mag well, non-lowered ejection port. Unlike the Series 70s made in the 70s and very early 80s, it does not utilize the finger bushing, rather, it uses a more conventional solid bushing. My review sample is blued and polished, not quite the deep polish of the Governments coming out of Colt in the 1970s but still a very attractive blue. The sights are tall, all black and steel. The new Colt Series 70 Government ships with two 7-round magazines just like when Starsky and Hutch was on TV. A real 70 Series Government! So why is it better than the original Series 70s I've owned over the years? The trigger broke with just a hint of creep at 4.5 pounds, as measured on my RCBS trigger pull gauge. The sights stand taller, and consequently, are much easier to pick up when shooting paper targets. The new throat relief that Colt has settled on, allows this pistol to feed, extract and eject spent range brass by racking the slide I'm talking brass fired at the shooting range, abandoned on the floor of the range and loaded into Wilson Combat 47 and 500A-HD magazines. I can rack the slide and they all get loaded, extracted and ejected until the mag is empty! I am very impressed with this. This throat/ramp allows this while providing complete support for the brass. This probably explains why this pistol has gobbled up every modern hollow point I could get my hands on with ease. 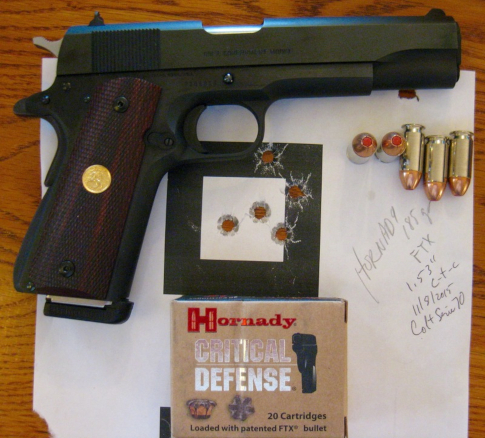 After 700-rounds of full power and +P .45 acp loads, I experienced no problems or failures! Not a single one. And while all my original Series 70 Colt Governments were accurate, this reissue Series 70 is every bit as accurate. I could group five-shots of many flavors of defensive ammo into 2 inches at 15 yards! With my old eyes, that's quite a feat. As a carry gun or a defensive pistol, this new Series 70 needs nothing. It gobbles up everything from 230-grain +P loads to 165-grain rounds with ease and for me at least, shot to point of aim at 10-yards. I do have one of those hands susceptible to hammer bite/grip safety bite. After a few magazines I had blood all over the pistol. If I were to carry this excellent pistol, I'd have to send it off to a gunsmith to have a beaver-tail grip safety installed. Oh hell, I might have night sights installed too. My OCD might demand it. Thanks for making this gun just right Colt! And finally, remember early on when we mentioned flawless loading, extracting and ejection? 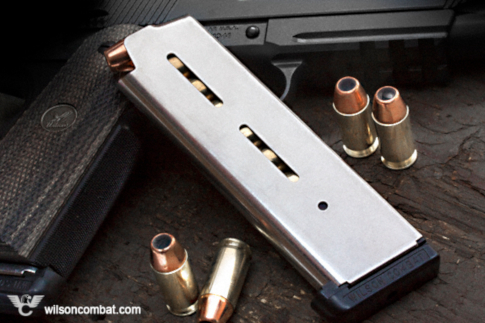 Part of that equation is that during testing both Wilson Combat model 47-D and 500A-HD magazines were used.